PCN Flight West: DL Capt. 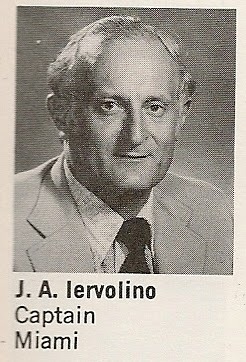 Joseph A. Iervolino Sr.
DL Capt. Joseph A. Iervolino Sr.
23800 SW 167th Ave., Homestead FL 33031-1326. Van Orsdel Kendall Drive Chapel, 11220 N. Kendall Drive, Miami FL. IERVOLINO, JUMPIN JOE, "Renascence Man" of Homestead, Florida, passed away Sunday, May 25, at the age of 93. Joseph Anthony Iervolino was born in New York City August 4, 1920. Jumpin Joe graduated from the Spartan School of Aeronautics and later obtained his law degree from the University of Miami. Jumpin Joe was a pilot instructor for the Air Force during World War II. 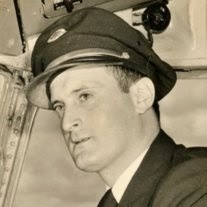 He later became a captain for Delta Airlines for 30 plus years. He and his wife Paula had a passion for art and travel. They incorporated that passion into an art gallery and a travel agency that they ran out of Chicago. Joe, an avid animal lover was always surrounded by one of his many dogs. He was preceded in death by his wife, Paula, his son, Joseph, Jr. and both parents, Anthony and Rose. He is survived by his daughter-n-law Mary Iervolino, his grandson Nick Iervolino, his granddaughter Stephanie Iervolino, his sister Rose Miller, a niece and two nephews. The viewing will be held this Friday, May 30th, from 10:00 AM to 12:00 PM, followed by the funeral at Van Orsdel. The Interment will follow at Our Lady of Mercy Cemetery. The family is requesting in lieu of flowers, for donations to be made in Joe's name to the SPCA, or the charity of one's choice. .Published in Miami Herald on May 29, 2014. Iervolino, Paula, 86, of Miami, died Thursday. Visitation 11 a.m. to services noon Monday, St. Thomas the Apostle Catholic Church. Van Orsdel Kendall Drive Funeral Chapel. Deceased Name: Joseph Anthony Iervolino, Jr.
Joseph Anthony Iervolino, Jr, was born on October 4, 1953 in Coral Gables, FL to Joseph Anthony Iervolino and Betty Joy (Longacre) Iervolino. Joe passed from this life on Friday, March 29, 2013 at the age of 59. Joe received his Master's degree in Public Administration from the University of Oklahoma and retired as an Intake Counselor for the Tulsa Juvenile Court. He was preceded in death by his mother and his son, Paul Charles Iervolino. He is survived and will be missed by his wife, Mary Kathryne "Becca" Iervolino, of the home; a daughter, Stephanie Iervolino and a son, Nicholas Iervolino, both of Tulsa and his father, Joseph Iervolino, of Homestead, FL. 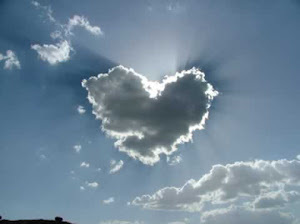 Trisagion service 6:00 P. M. Tuesday at Ninde Brookside Chapel. Funeral liturgy Noon, Wednesday at Holy Trinity Greek Orthodox Church. Interment Rose Hill Cemetery. In lieu of flowers memorial contributions may be made to Holy Trinity Greek Orthodox Church, 1222 S. Guthrie, Tulsa, OK 74119. Ninde Brookside Chapel 918-742-5556. www.ninde.com This obituary was published in the Tulsa World on 4/2/2013. Joe, God Speed! You were one of the first Captains I flew for as a Convair 880 engineer out of ORD. You were one helluva good pilot, fun, smart and exciting! I know your trip West will find you surrounded by pooches, in the palm of God.